Phew. I’m sure it will surprise none of you to read that despite still being unemployed, I’ve been pretty busy lately. Somehow I always find projects, and outings, and errands, and gatherings to fill my time, and I’m very lucky that there’s such a big, friendly community here to involve me. Amaury and I’ve also been getting out as tourists quite a bit and unfortunately have both been sick. All this to say, I’ve been finding it hard to find time to sit and write. Though, now that I am sitting down, there’s a lot to write about. This site has quickly become a record of my ongoing progress and struggles with Mandarin. Recent small successes include finally being able to give directions to taxi drivers and striking up conversations with people in coffee shops, convenience stores, and HairSpas (yes, I continue to frequent HairSpa and it’s just as amazing as ever). I don’t know if people were previously attempting to talk to me and I just couldn’t understand, but now it seems like I’m often entering into basic conversations on such topics as “Where are you from?”, “How long have you been in China?”, and “Are you married?” That last one always seems pretty off topic to me. On the other hand, the more I progress, the more I know how terrible my Chinese is. These pesky tones are so hard to get right! My favorite mistake so far happened when a man tried to get me to take a flyer while I was walking home. After I said “Bù yào” (don’t want), he insisted “You yong.” So I asked Amaury, “Why is this man talking about swimming?” Amaury looked at me like the crazy person I am and told me, “He said ‘yǒu yòng’ not ‘yóuyǒng.’ He meant ‘It’s useful. '” I mean really. I’ve been getting to know more people through outings with the Guangzhou Women International Club (GWIC), impromptu coffees with new friends, and by hosting a monthly book club at our home this week. 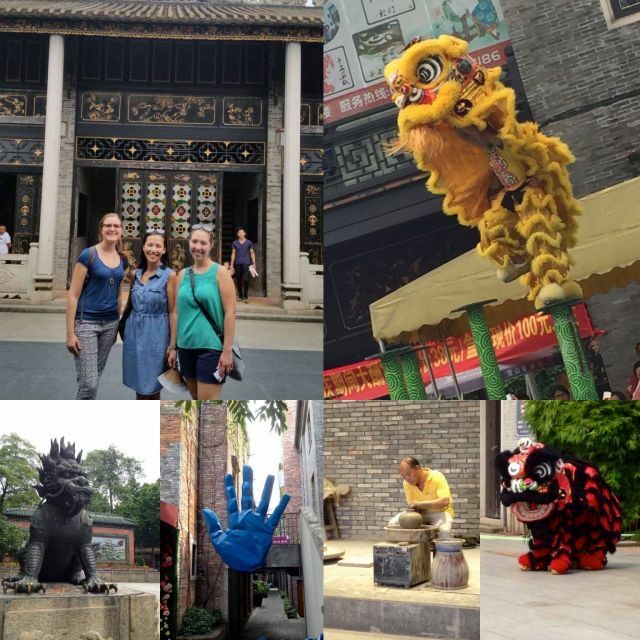 I recently went with a group of ex-pat women to Foshan, a neighboring city that still has a lot of ancient architecture and temples. My favorite part was getting to see an incredible lion dance at the Foshan Ancestral Temple where pairs of boys danced and jumped in these huge lion costumes. I’ve uploaded a video I took, sorry for the poor quality and do watch all the way through because the end is the best part! This temple has a long history with kung fu and is where Bruce Lee trained, so there was also a kung fu demonstration and interesting museum. 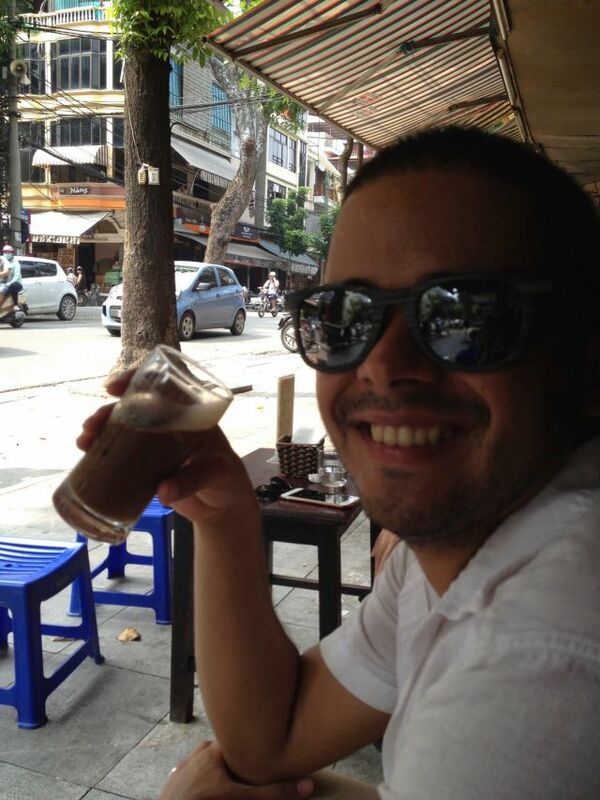 I can’t believe I haven’t told you yet about our amazing trip to Hanoi a week and a half ago. Suffice to say that it was the highlight of September for us. We spent a lovely few days there over the Mid-Autumn Festival. 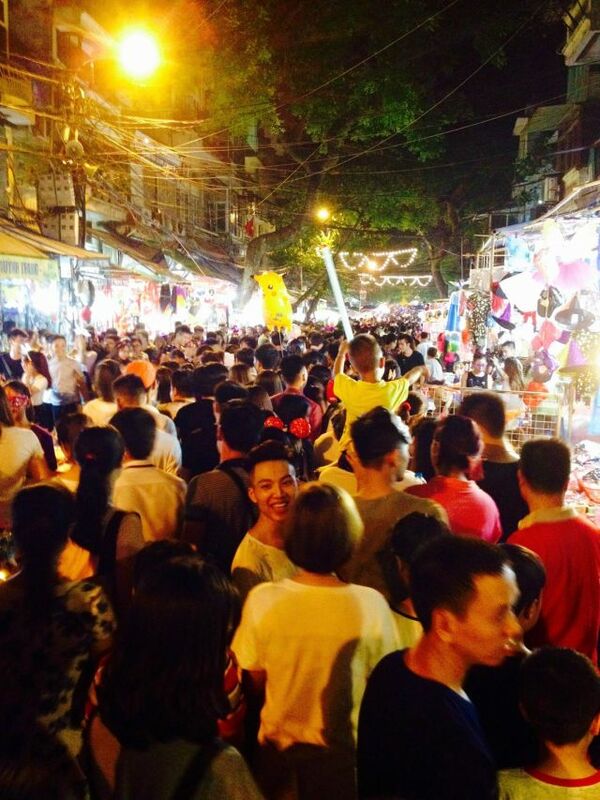 It was a bit of a shame to miss the Festival here in Guangzhou, as it’s a very big holiday here, but we were happy to confirm that it’s also celebrated in Hanoi. We arrived to our hotel around noon on Sept. 15, so had a full afternoon to wander around the Old Quarter where our hotel was located. We spent a leisurely three hours walking around the lake in the city center before having one of the best meals I’ve ever eaten at the incredible Red Bean Restaurant. The five-course Vietnamese set menu only cost us $16 each due to the highly favorable exchange rate! Also, Vietnamese currency is measured in thousands and millions, IE one million Vietnamese dollar is $50USD. Outside of Vietnam, I don’t think we’ll ever say we spent a million dollars on anything, especially as we both love a good bargain. Several major streets were shut down to cars in the city center for the Mid-Autumn Festival, so after dinner, we walked through all the excitement. The streets were full of pedestrians; small stalls selling various trinkets, balloons, and food; noise-makers and drums; and motorbikes… apparently the street closure didn’t apply to them and we almost got our feet run over by their wheels and our legs burned by the exhaust pipes. Despite the noise, the heavy smoke from the bikes, and the danger of being trampled, we had a fantastic time. Before we joined the crowd, our excellent server at Red Bean warned us that it would be very busy and loud, but that it would be a “happy noise.” Everyone around us was so joyful. We followed the flow of people back towards our hotel and fell deep asleep after a great first day. The only downside to our trip was that I was suffering from a horrendous cold the entire time that was later joined by Southeast Asia tummy trouble. Amaury has the constitution of an ox; lately I feel like a miniature poodle that has to be carried around in a handbag. Thankfully there were plenty of air-conditioned shops, restaurants, and (my favorite) coffee shops to stop and take a rest in as we explored the city. We mainly stayed in the Old Quarter except for venturing out to the West Lake area and getting massages at Omamori Spa. That spa was an experience in itself. It’s part of a nonprofit that trains blind people to be massage therapists and then gives them full-time employment at the spa. 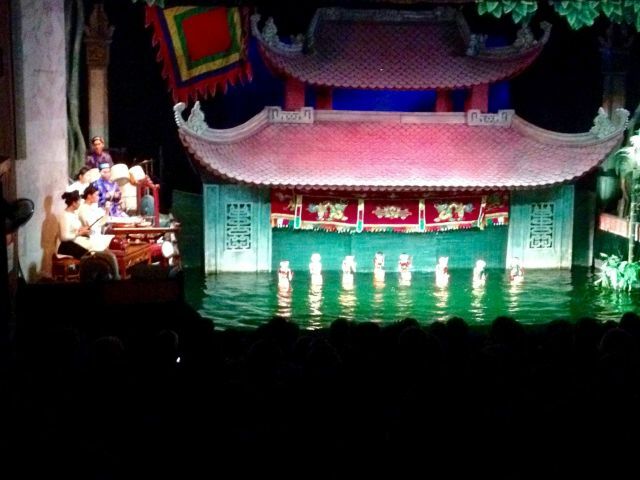 Another highlight of our trip was seeing the famous water puppet show. We almost didn’t get to see it because tickets were sold out, but our hotel staff were amazing and managed to get us two tickets last minute. I frequently wished we could understand Vietnamese, as we would have got much more out of our trip, especially during the show. Water puppet shows are an ancient tradition in Vietnam that traditionally were held in rice paddies when the water was high. The puppeteers hide behind a large screen made to look like a temple and manipulate these huge puppets in and on top of the water. In this case, the stage was a waist-deep pool with musicians seated on a raised platform to accompany the actions of the puppets. You can read more about it here. And the food. Vietnamese food is so delicious and plentiful. After getting lost in Macau two weeks prior, I had noted down some restaurants so we wouldn’t go hungry, but in Hanoi every little corner restaurant was tasty. For example, for our first experience trying Vietnamese coffee in Vietnam, we followed our hotel’s suggestion to try “egg coffee” at #39 on a specific street. That street is filled with little coffee shops, so we dutifully went down until we found “Egg Coffee” listed on a sign. We entered the very small, essentially open-air cafe and ordered two Vietnamese iced coffees from a rather surly man who looked confused as to why two foreigners were in his shop. We sat down out front to enjoy, and I’m not sure words can do justice to the incredible taste and experience of that coffee. Vietnamese food doesn’t just taste good, it affects all your senses. I could feel the coffee not just in my mouth, but in my whole face (can you tell I’m a coffee addict?). Anyway, it was an experience and for once I finished my coffee a good five minutes after Amaury, trying to make it last. As we sat there- me in 7th Heaven and Amaury observing the scenery- we looked down the street and realized that we’d ended up at #37, not #39. We were at some random, hole-in-the-wall coffee shop and not the artsy, slightly fancier, much-more-tourist-friendly coffee shop we were supposed to go to. 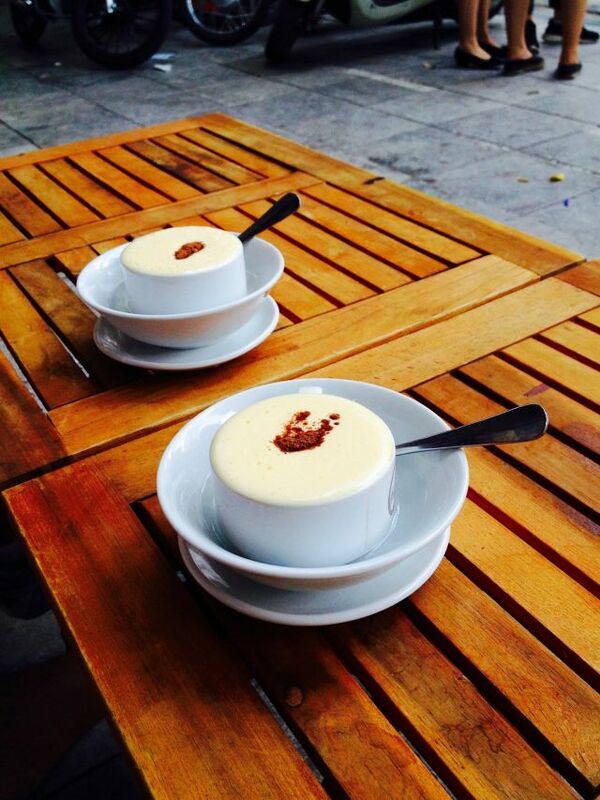 It turns out that “egg coffee” is a type of coffee drink with custard, not the name of a specific shop. The point is, Hanoi’s restaurants are generally all delicious. You will not go hungry or miss your caffeine-kick there. 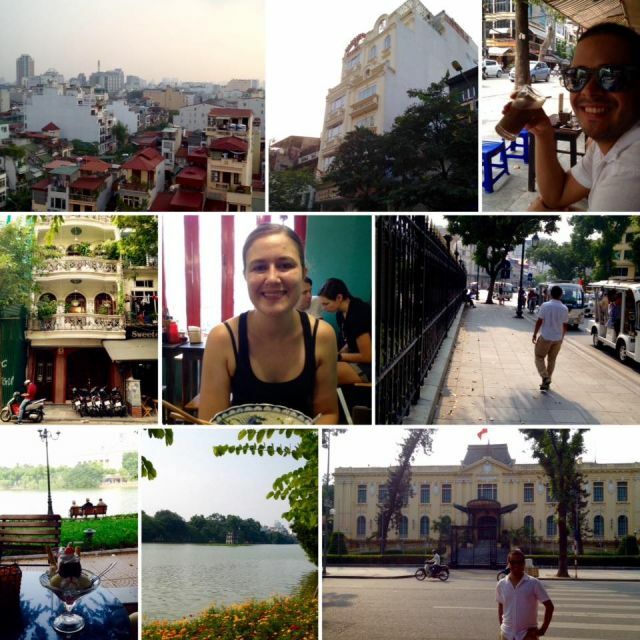 Our Hanoi trip reinvigorated both of us and we returned to Guangzhou motivated to explore more of the city we live in. I think that renewed spirit of adventure has helped us get through passing our three-month mark in China. Apparently, three months into a new place is generally accompanied by a downward slump on the emotional rollercoaster that is ex-pat life. It’s the moment when it really sinks in that being in China is not an extended, overseas vacation, but our real, daily life. Since we got back from Hanoi we’ve made an effort to get out and see more, participate in more events, and meet new people. Thankfully we also have space in our lives for rest and recuperation. I’ve been playing a lot of piano and curling up with a good book instead of my computer. I just finished Markus Zusak’s The Book Thief, which I thoroughly recommend. Amaury took a couple sick days this week to recover from some bad neck pain and catch up on much-needed sleep. He’s doing so much better after rest and a trip to an acupuncturist/physiotherapist. Rest has certainly been needed, because this Saturday we’re heading off on a 10 day trip to Shanghai and Seoul during the Chinese national holiday also known as “Golden Week.” In addition to exploring two incredible cities, we’ll get to see some good friends and attend the wedding of dear friends C and J in South Korea of all places! Next time I write I’ll hopefully have lots more silly stories to share about our ongoing adventures in Asia.